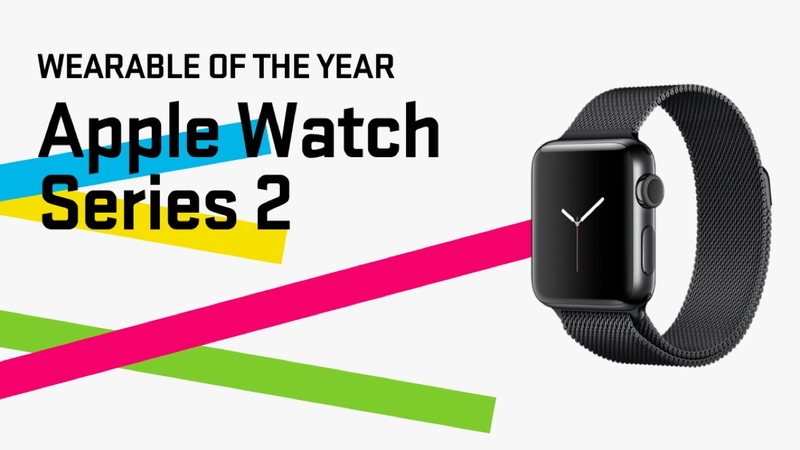 After the thousands of reader votes were counted and the Wareable team and a panel of esteemed judges deliberated, the Apple Watch Series 2 was chosen as the Wearable of the Year. Along with being named Smartwatch of the Year, the Series 2 also picked up the biggest prize at our first ever awards ceremony held at Shoreditch Town Hall, London to celebrate the best wearable and smart home devices of the past 12 months. The new Apple smartwatch was selected for showing the critics what a smartwatch can do and creating a truly desirable wearable with the features to match. When we reviewed the Series 2, it scored 4 out of 5 stars as we praised it for its good looking waterproof design, accurate swim tracking, improved notification support and reliable GPS for running. It's a turn up for the books after the original Apple Watch didn't score too favourably with our executive editor James Stables, who said that, while it was a decent device, it was far from a world beater. Other winners on the night included the Garmin Vivosmart HR+ beating the Fitbit Charge 2 to pick up the Fitness Tracker of the Year Award. The HTC Vive pipped PlayStation VR to be crowned VR Headset of the Year while Moov Now was named Sports Wearable of the Year. You can see a full list of the Wareable Tech Awards 2016 winners here. What do you think of our pick for Wearable of the Year? Let us know in the comments section below.